To address parking woes, a fully-automated puzzle car parking is being built in the busy Adhchini area in south Delhi, the SDMC said Monday, claiming that it will be the "first" such facility in the city. The foundation stone of the project was laid on Monday by BJP's national vice-president Shyam Jaju, the South Delhi Municipal Corporation (SDMC) said. Puzzle parking is a fully-automated system featuring a combination pallets that enable horizontal and vertical movement of parking spots just like a puzzle to park and retrieve cars. 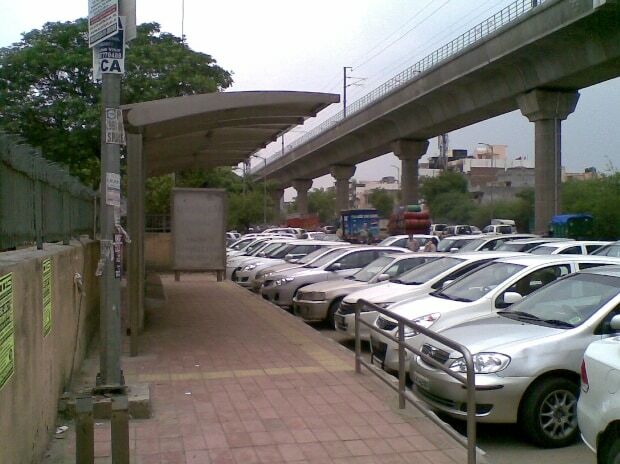 "Delhi's first fully-automated puzzle car parking at Adhchini village will be commissioned in the next six months. This will have an attractive modular design with a canopy. "A pilot (operator) will be deployed there to park and retrieve cars; and the entire process will be fast and smooth," the SDMC said in a statement. The retrieval time will be less than three minutes, it said. "The parking facility being developed at a village area is suitable for the both rural and urban areas as it can function from a small area," Jaju said, adding that it will go a long way in mitigating parking woes of different areas under the south corporation. South Delhi Mayor Narender Chawla presided over the function, which was also attended by New Delhi MP Meenakshi Lekhi, Chairperson Standing Committee Shikha Rai, Municipal Commissioner Punit Kumar Goel and other senior officers. "The puzzle parking is being constructed over an area of 310 sqm at a cost of Rs 7.55 cr. It will accommodate 56 cars. It is being developed in two modules with six levels each. "It will be eco-friendly, allow faster parking and retrieval with lifts, offer customised parking solution, comprehensive fire safety, and be fully safe," the SDMC statement said. Compared to a conventional parking, its operation and maintenance cost will be much lower and the puzzle parking facility requires just one person to operate it, the SDMC said. It added that the retrieval time of a vehicle in the tower parking will be just three minutes in comparison to 15 minutes in a conventional parking. New parking sites once commissioned will be able to contain air pollution as consumption of fuel during a long search for parking will be over and users will be able to make use of the parking sites at various localities, South Delhi Mayor Chawla said. Municipal Commissioner Goel said the SDMC will commission the new parking sites with full precision and quality. The SDMC has a plan to commission more puzzle and tower parking sites under its jurisdiction. The new automated parking sites will definitely provide relief to car owners who generally face difficulties in finding a safe place to park, Lekhi said.